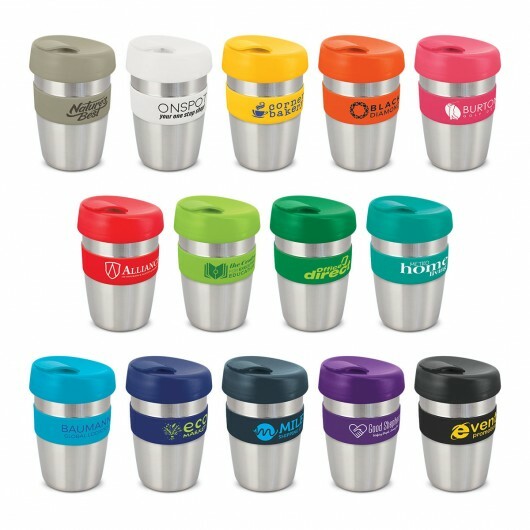 The ultimate re-usable coffee cup that allows your logo to really stand out. It's cool, smart and sleek. The Elite Forrest puts a modern spin on the ever popular re-usable coffee cup. It has a capacity of 350mL and a double wall insulation that will keep drinks cold or hot for longer and a colourful heat resistant silicone band and screw on lid with splash proof flip closure. 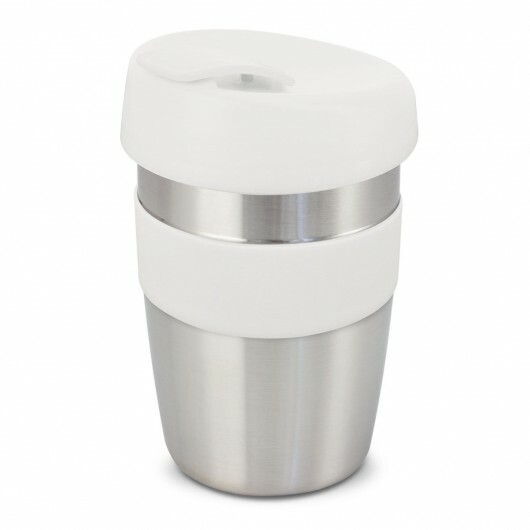 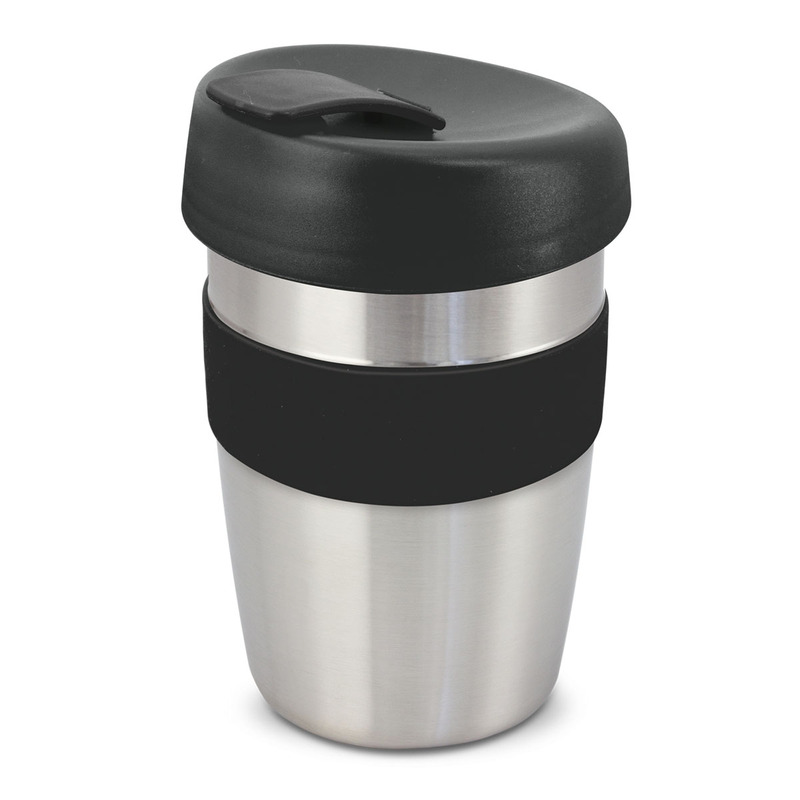 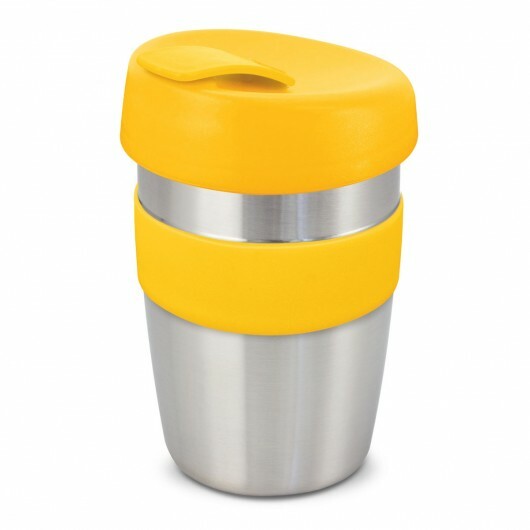 The cup has a stainless steel outer wall and inner wall and all of the materials are 100% BPA free and recyclable. 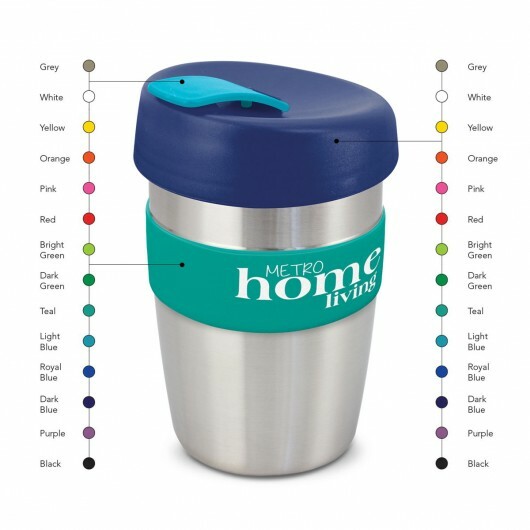 You can also Mix n Match the colours of the lid and band. They come presented in a black gift box and handwashing is recommended.